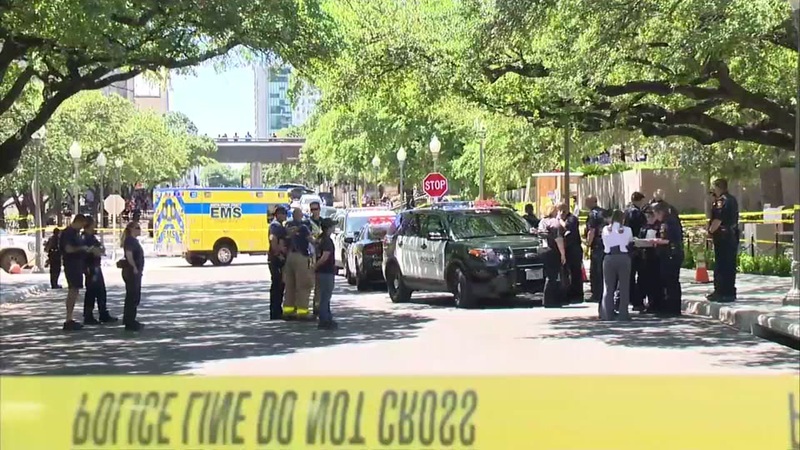 AUSTIN, Texas -- A student with a large hunting knife stabbed at least four people Monday on the University of Texas campus, killing one and seriously wounding the others before surrendering to police, authorities said. Police identified the suspect as 21-year-old Kendrex J. White. University police Chief David Carter described the weapon as a "Bowie-style" hunting knife. He said the stabbings occurred within a one-block area as the attacker "calmly walked around the plaza." "They were just screaming, 'Run! Get out of here!'" Arredondo said. One person died at the scene near the gym. The others were taken to the hospital. There were reports of additional victims with non-life-threatening injuries, according to tweets from Travis County Emergency Medical Services. Lindsey Clark said she saw the suspect get tackled by police as he was running toward the entrance of Jester Hall, a complex of dormitories and classrooms. She described him as wearing a bandanna and gray sweatshirt and said he appeared quiet and subdued as police held him on the ground. "You could see and hear people running and screaming: 'There he is!'" before he was tackled by officers, Clark said. Carter said it would be "premature" to discuss the suspect's motive and "what was going through his mind." Arredondo later saw what looked like CPR being performed on someone outside the front door of the gym. Another student was sitting on a bench being treated for cuts to the head or neck, he said. White was an active member of the Black Health Professionals Organization student organization on campus, said Melody Adindu, the group's new president. She said White was passionate about his work and was "very interactive and easygoing." Some of White's former classmates at Killeen High School, near the gates of the Fort Hood Army post in Central Texas, had similar recollections of him.